Deepavali / Diwali is a joyful annual celebration commemorating the triumph of divine light shining into our world. A unique feature of Deepavali is the great array of lights set out by participants to denote the return of light where darkness previously prevailed. This is the perfect time to reinvigorate your own inner joy and happiness as well as invite this abundant positivity and happiness into other areas of your life including: family, finances, business and community. What is this darkness that ends on Diwali? Our founder, Dattatreya Siva Baba, has commented on the importance of lighting ghee lamps on a regular basis. He has explained that whenever you light a lamp or candle, immediately the Divine comes into it. Truly Diwali is a great community unifier for dispelling the forces of negativity, sorrow, loss or disappointment. The flame of a lamp banishes darkness. Baba has discussed how the fire element always has a continuous upward movement. The simple act of lighting a lamp encourage us toaspire for great heights in life by destroying the negative forces within ourselves. The purifying energies of fire can lead us toward Truth. 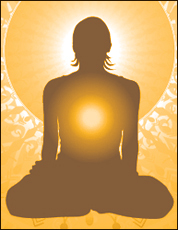 The sages have therefore acclaimed the lamp of wisdom as the flame that “leads men to higher states”. This calls for the purity of body, mind, and speech! If the darkness of ignorance is to be dispelled, a person needs a container, oil, wick and a matchbox corresponding to what an “external lamp” needs. For people, the heart is the container. The mind is the wick. Love is the oil and vairagya (sacrifice) is the matchbox. When all four of these are united, the Divine flame of the Spirit radiates good fortune upon us all. During Diwali, we are reminded that this Light of Knowledge shines and dispels the darkness of ignorance forever. Consciously work to discard old prejudices. Adopt habits of love and mutual respect for all. Transform old enemies into friends. Shower understanding and compassion everywhere you go. This is the power of Diwali! As external lamps ignite, so does our inner joy and happiness. It is Astroved’s aim to augment the energy of this time 10,000-fold so that you can reap the benefits of this sacred day all year round. It was on Deepavali day that the coronation of Sri Rama, hero of the epic story The Ramayana, finally took place. 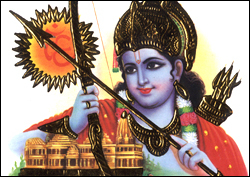 Rama had returned to Ayodhya in victory from Lanka after vanquishing the terrible demon Ravana and his army. For 14 long years, Ayodhya had been plunged into darkness without their rightful leader. The return of the triumphant Rama was hailed by the people of Ayodhya as the return of divine radiance, and hence they celebrated the event by the lighting of lamps. One legendary version describes Diwali as the day of execution of the demon Narakasura by Lord Krishna. This story highlights the inner significance of the festival as a day for getting rid of all the bad qualities in ourselves (symbolized by the demon Narakasura). As long as the demonic qualities remain in our consciousness, we are immersed in darkness. Bad qualities and thoughts have to be got rid of altogether. Baba teaches that faith is utter positivity. 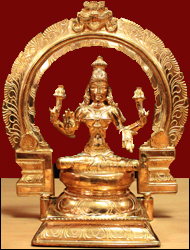 Many devotees celebrate this day with a “Lakshmi Pooja”. Lakshmi embodies the feminine aspect of the Divine as expressed through infinite Wealth and Luxury. By focusing on her, we are bringing into our lives the riches we deserve to have as part of our own divine birthright. And when we receive our material blessings, we know in our hearts that this is intended for the betterment of the world and not for just for personal gain. Baba has promised to put wealth into the hands of spiritual people. Astroved provides tools to help back up this promise. Riches may come and riches may go, and whatever happens, we must be unshaken, and we must not veer off from the path that we has chosen towards our goal. Know this and you will know that anything is achievable when the right intention and power are behind your true desires. This is what you must do to obtain the power of this blessing! Blessings from Lakshmi can give you the increased intuition you need to make those instant decisions to walk through doorwasy for opportunities for wealth. These clues come to you by embracing her with an open mind and heart. You were born with this, but somewhere along the way it was taken away, NOW is the time to take it Back! This Diwali, Astroved.com is planning to celebrate a Grand Lakshmi Pooja for 2 whole days with 10 sanctified priests chanting 100,008 times the Lakshmi Mantra culminating with a grand fire ritual to Lakshmi, Goddess of Wealth and Kubera (the Banker of Heaven). Energized Sakala Aishwarya Samrajya Kadaksha Yantras are available to imbibe into your lives – good health, prosperity, warding off evil castings, happiness, and good relationship and so on.